It may surprise some to realize that Guns N' Roses released only four full-length original albums, and two of those debuted simultaneously. But they were enough to forever change rock 'n' roll. Even more shocking is that one of the great bands in rock history, with it's last studio album issued 10 years ago, has never had a "best of" compilation. Now it has. Welcome to the jungle with Greatest Hits (Geffen), released March 23, 2004. 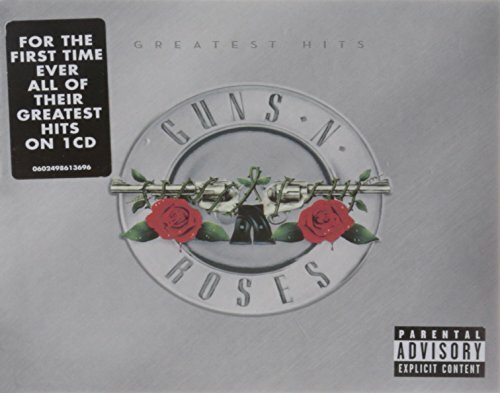 With 14 selections housed in a digipak, Greatest Hits features all eight of the band's Top 40 Billboard Hot 100 tracks (five of them RIAA-certified "gold, " i.e., sales of more than 500, 000 units). Along with spanning the group's five album releases, Greatest Hits also marks the debut on a Guns N' Roses album of the band's cover of the Rolling Stones' "Sympathy for the Devil" for the 1995 film Interview with the Vampire.